Because who wants to openly weep in front of their coworkers? 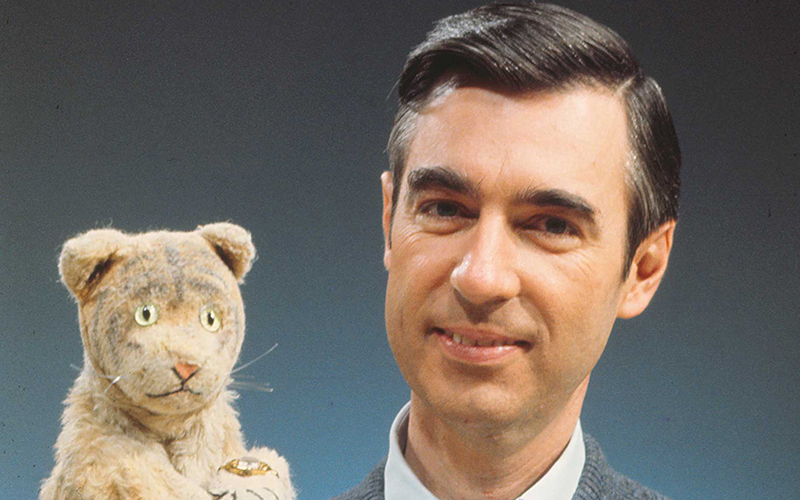 A brand new trailer for Morgan Neville’s documentary about Fred Rogers, aka Mister Rogers—appropriately titled Won’t You Be My Neighbor?—is making the rounds today. And unless you are a robot, this puppy is going to hit you right in the feels. Neville was behind 2013’s 20 Feet From Stardom, the spectacular Oscar- and Grammy-winning documentary about the massive successes and complicated struggles of background singers (seriously, watch this bonkers clip of Merry Clayton totally crushing a section of the Rolling Stones’ “Gimme Shelter”). His pedigree and prowess in the medium only bode well for Neighbor: Even from this short clip, it’s clear the filmmaker utilized interviews and archival footage to create a nuanced and moving tribute to a man who was once bound for seminary but who instead used a much more public platform to spread love, acceptance, and positivity. Check out the trailer below, and look out for the film in theaters on June 8. Next articleSo, When Is it OK to Float Down the L.A. River?